Today marks a new challenge day over at Jaded Blossom! This months challenge theme is Easter!! 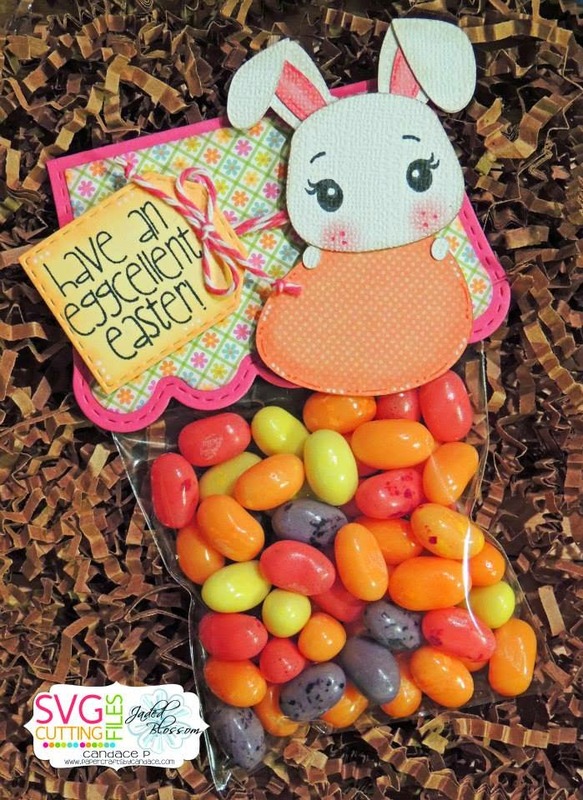 I decided to make this cute jelly bean treat! I used Jaded Blossom's Mini Tag Dies 2, Scallop Slider & Topper Die, Eggcellent and 3x4 clear bags. 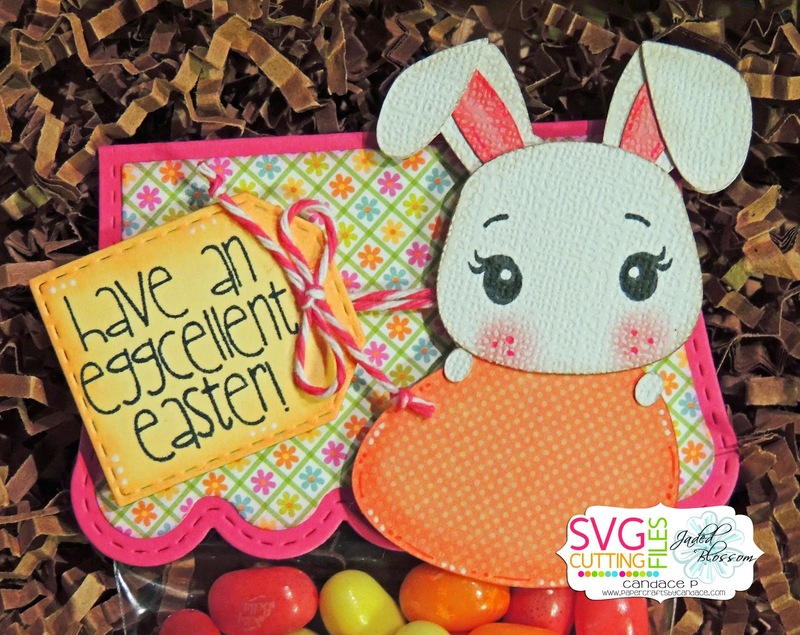 The adorable bunny is from SVG Cutting Files! OMG this is too cute! Love that bunny face! This is adorable! The bunny is so cute with the PK eyes and I love the colors! I love this little bunny! Super cute!